Last night, I finally got around to converting my wife’s recent traditional IRA contributions into her Roth account. 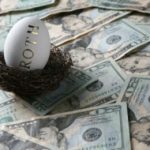 As I’ve noted in the past, we’re currently above the income limit for Roth IRA contribution, so we’ve been unable to contribute to our Roth accounts for the past couple of years. 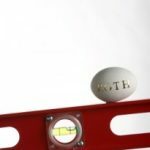 However, as many of you know, the income limits for converting from a traditional to Roth IRA went away this year. 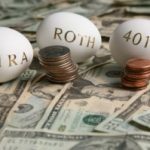 In other words, anyone making too much to contribute to a Roth IRA can simply make a non-deductible traditional IRA contribution and immediately convert it into a Roth account. Shortly before our taxes were due, we opened a traditional IRA in my wife’s name and made contributions for both 2009 and 2010. Since she doesn’t have any deductible IRA funds laying around, we can simply convert these funds into her Roth without paying any additional taxes. I’ve actually been meaning to take care of this for quite awhile now, but just haven’t found the time. Fortunately, it’s very easy to execute the conversion through Vanguard’s online interface. Simply login, click your way into your traditional IRA account, click the “Buy & Sell” link, and then do an “Exchange” between your traditional and Roth IRAs. 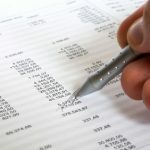 The good news is that, assuming you’re converting non-deductible contributions, and further assuming that you don’t have any other IRA accounts with deductible contributions in them, this should be a tax-free maneuver. In our case, we have a tiny amount of investment gains that have accumulated on top of the original non-deductible contributions, so we’ll wind up owing a few cents in taxes. We’re not worried, though, as we’ll be juicing up our Roth accounts. I’m actually working on doing the same thing myself, though I have a SEP-IRA with significant pre-tax (i.e., deductible) contributions. Thus, I still need to roll my SEP-IRA into a Solo 401(k) to avoid a nasty tax hit when I do convert. To be honest, I’m not sure that it really matters if I get the SEP rollover done before I do the conversion, so long as I do it during 2010. In fact, based on my read of the current version of IRS Form 8606, either way should be fine. I’m not, however, interested in taking any chances, so I’ll be doing the rollover first.